When you enter one of the fondos that make up the Gran Fondo National Series you've committed to a significant training program and test of your cycling fitness. Yet, we see it again and again: super-fit competitors undone by mechanical breakdowns that could have been prevented. Here are three of the top gremlins we've seen over years of hosting gran fondos. Out of sight, out of mind. The cleats on the bottom of your cycling shoes rarely catch your attention. A simple check - at least two weeks before your fondo - can save your day. Make sure the screws are tight, and if the cleat is worn down, go ahead and replace it. Try to replace your cleats far enough ahead of time that you can do a few rides on them to make sure the position is correct. This one always strikes at the worst moment. You're jumping up to sprint or power up a short climb and suddenly, boom! good-bye chain. The breakage can be due to poor shifting habits or, more likely, a worn out link that finally snaps apart. Regular cleaning and judicious use of lube are essential for increasing the longevity of chains, especially now that you have a narrow chain running on 10, 11, or even 12 cogs. However, no amount of cleaning will make a chain last forever. If you don't know how to check your chain and cassette for wear, have your mechanic look at it. Cyclists who ride 10+ hours per week year round often require a new chain and cassette at least once per year. In case your chain does snap, make sure you're carrying a multitool that has a chain tool in it, and a power link (master link). Use the chain tool to remove the busted link so both sides have a female connection. Use the power link to reconnect the two sides, then slowly rotate the chain until the powerlink is on top between the cassette and chainring. In this position, hold the rear brake tight and press down hard on the pedal. This will put enough tension on the power link to snap it into place. Then, off you go! This was not a problem until recently. Today's electronic derailleurs are technological marvels... until the run out of juice and leave you stuck in a single gear. With all the logistics and travel involved in getting to the start line at a gran fondo, it can be easy to overlook recharging or replacing the batteries in your derailleurs. Avoid this fate by adding "batteries/charger" to your gran fondo packing list and replacing or recharging them the night before the ride. Many mechanicals are repairable with minor and easily-available parts (cleats, shift or brake cables, tires and tubes, etc.). Batteries are harder to come by, especially in the middle of a ride. Support vehicles are unlikely to have extra charged batteries, other riders are unlikely to be carrying spares, and even if you find an open bike shop it's unlikely they'll have a battery that's already charged. What's more, there's not much of a workaround when batteries die, so it's in your best interest to plan ahead! 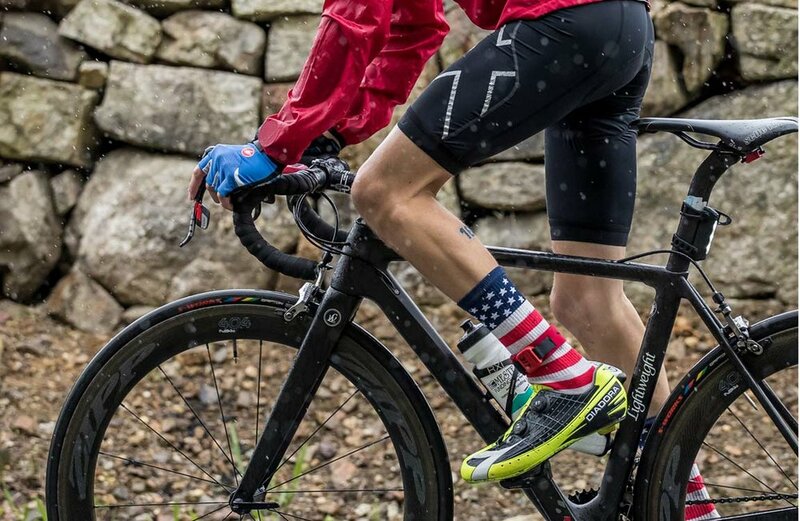 There are certainly other mechanical issues that could sideline you during a gran fondo or training ride, but these three seem to crop up at event after event. Do yourself a favor and check your equipment before you travel to a goal event, and bring small parts you know how to install if necessary. Your fellow riders and the support staff at events will be more than happy to help you if they can, but it's even better if you can help yourself or be the person who helps someone else.